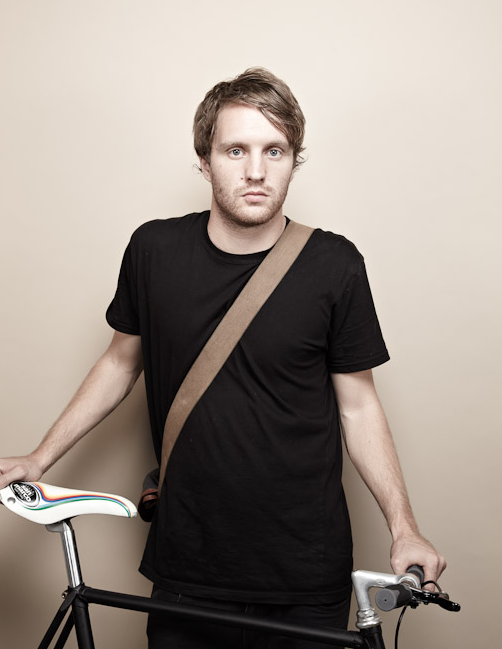 Rory Gardiner is a London-based photographer of architecture, interiors, and landscape. 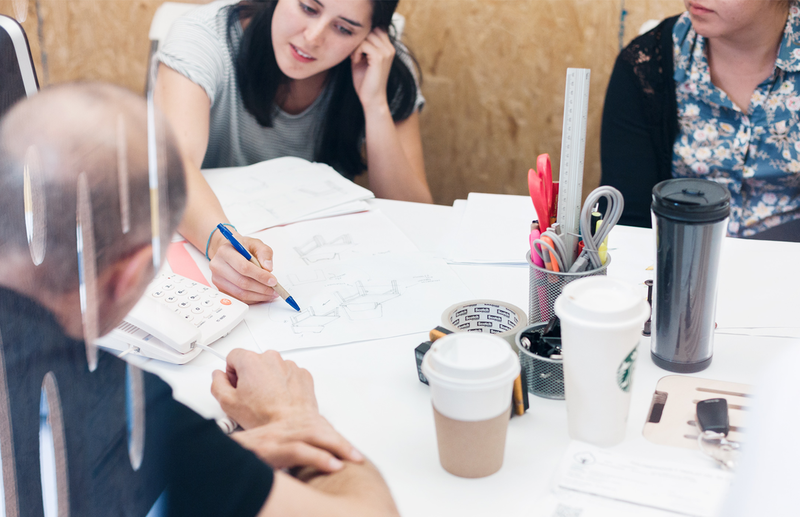 At Opendesk we’re incredibly lucky to have him as our resident photographer. Below he showcases the best of his recent trip to Mexico with some surprising results. Above: The non-surprising first impressions of Antonio Sola, Mexico City. 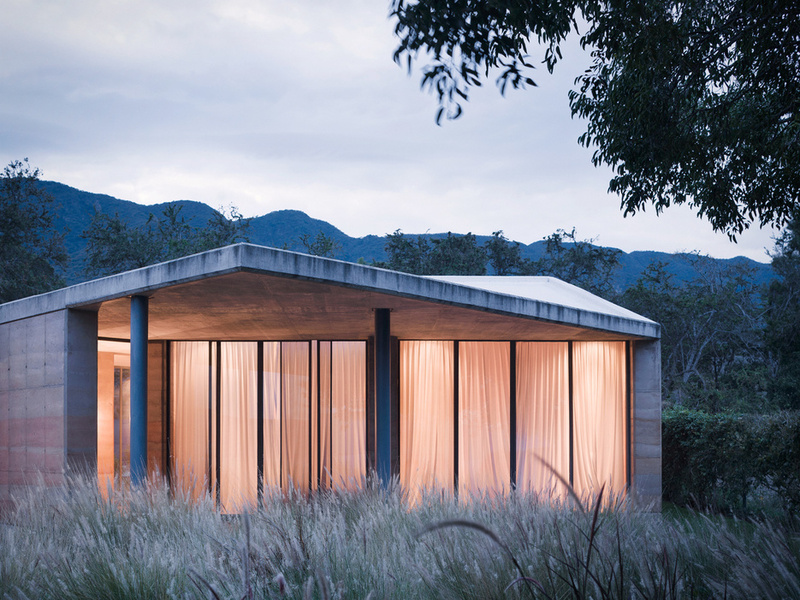 In May I was asked by architects Ambrosi Etchegaray and Tatiana Bilbao to shoot their latest projects in Mexico. First on the agenda was the Ambrosi Etchegaray project, titled Antonio Sola. 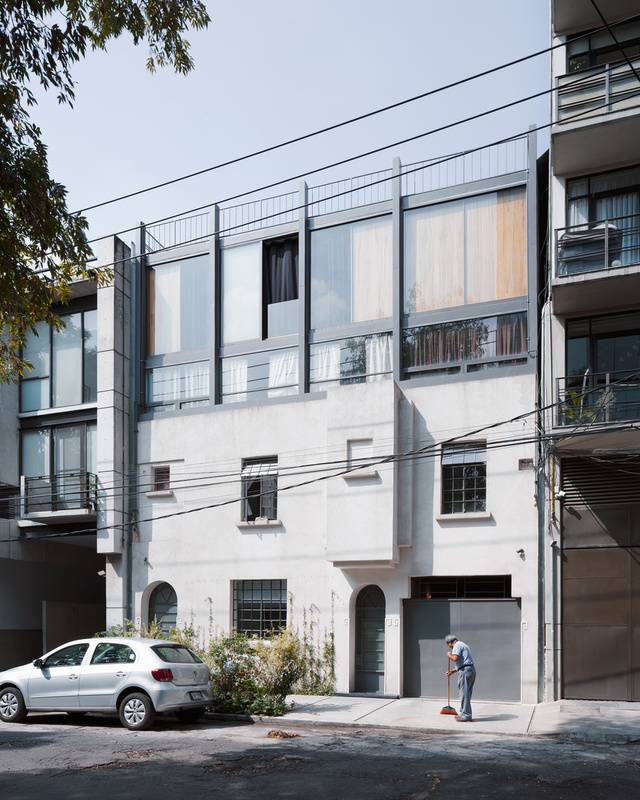 A residence in Mexico City that is subtly positioned mid-street and didn’t give anything away on first impressions. The facade is typically not too far removed from the norm of the residential architecture featured throughout the city but, as soon as I stepped inside, Ambrosi Etchegaray’s design features were striking. 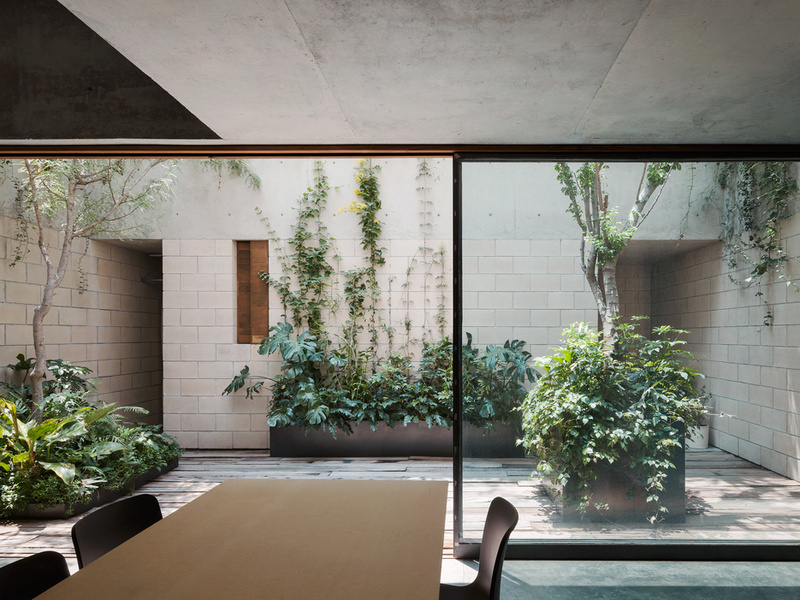 With a population over 20 million in the greater Mexico City area Ambrosi Etchegaray sought to null the consciousness of the metropolis by creating an urban oasis, focused around a central courtyard. Throughout the space its inhabitants are taken away from the city’s buzz with the interior reflecting the least amount of “noise” and the distinctive floor divide that was constructed to elevate the space all through the home. The real highlight for me was spending the night! Above: the courtyard at Antonio Sola, with the maid’s chambers to the left. Below: View of the private section at the holiday home (Tatiana Bilbao). After what seemed like a few hours in the capital (it was actually closer to a week!) I headed out of the city east to Guadalajara where Tatiana Bilbao had finished a holiday home in a neighbouring town Ajijic, on the edge of Laguna de Chapala. The town has a relaxed feel with plenty of bars, cafés and restaurants due to the large proportion of retired American and Canadians who have flocked south to realise the Mexican Dream ;-). I was blown away by the scenery, and the property itself. For a very modest budget of £120,000 it’s remarkable what Tatiana achieved for an American client as a holiday getaway spot. All the materials were sourced locally and heavily relied on rammed earth for its foundation. The feel had an intriguing warming effect considering the raw nature of the materials used, and uniquely there are two sides to the home, a open public sort of space and a private area that is much more secluded. Both are joined by a corridor and the atmosphere in both feels very different. I was able to spend a few days in the area and the not far away city Guadalajara to see the best of the east side of the country. If you know of anyone who needs a project shot in Mexico I’d be the first one to step forward! I hope you enjoy my final proofs from the two projects. To see more of Rory’s projects click here. 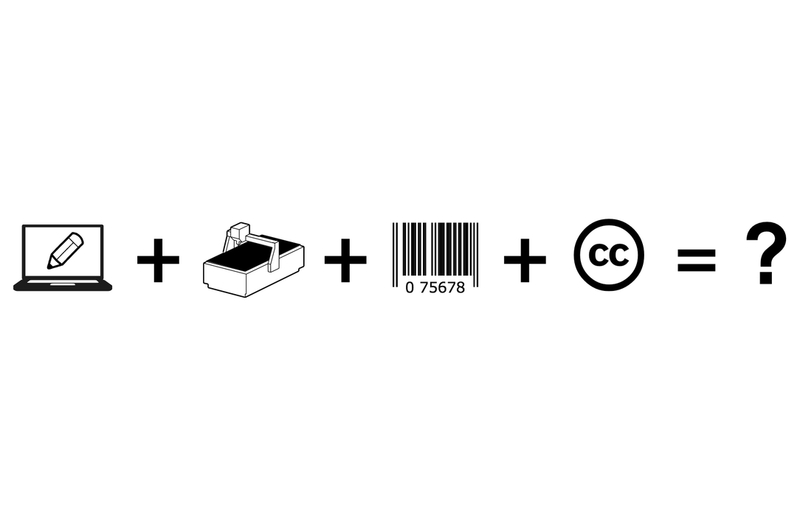 Silvia Gasparotto explores the differences of open source and open hardware and the trends that are developing.